Mr. Bassel A. Cheaib, Of Counsel for WJH Law Group, has fifteen years experience in corporate and commercial law, with a particular focus on contract drafting and corporate counseling. Mr. Cheaib has advised on contentious and non-contentious matters related to European law and Middle Eastern Law. 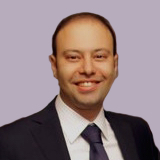 During his years working with WJH Law Group, Mr. Cheaib has advised and counseled on a range of cases including cooperating with a British law firm on an international child abduction case, working in tandem with a Spanish law firm on an international inheritance case, and drafting a 4 million dollars investment agreement in a construction project in Turkey. Mr. Cheaib has in depth knowledge of business contracts drafting from shareholder and management agreements, as well as, franchise, distributorships, professional services agreements and bank guarantees. Mr. Cheaib is fluent in Arabic and proficient in English and French.